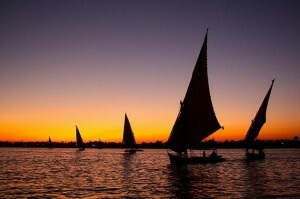 A River Nile cruise on a private sailing boat is achievable for a reasonable cost and if you are willing to sacrifice on facilities even a back packer can afford it. You want to arrange a special anniversary, the most romantic holiday in the world. 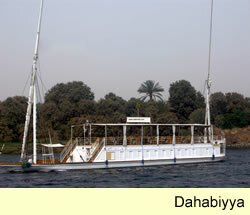 Share a dahabiya, or charter the entire boat maximum group size 12. In days gone by the only way to cruise the Nile was in a Dahabiya(also spelt dahabeya and dahabiya), as Amelia Edwards describes in her book “A Thousand Miles down the Nile” and of course Agatha Christie talks of a Nile cruise in a private dahabiyya in her book “Death on the Nile”. Want to spoil that special person with a perfect family holiday in Luxor with a small family, charter a sandal boat, sleeps up to 8. 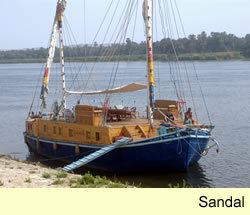 So what are the options for a Nile cruise? 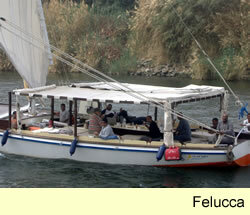 what types of Nile cruises are there? 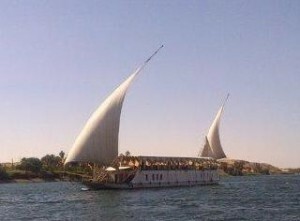 We have a wide range of options and prices for Nile Cruises, to make your dream River Nile Cruise become a reality in 2012. [intlink id=”12″ type=”page”]Contact us to make a booking[/intlink] or to ask any more questions you may have.